A short summary of the primary benefits your business offers and what you, as a brand, stand for. There’s no better feeling than standing out from the crowd. When your customers immediately recognize what it is you do and, more importantly, remember you over the competition you really feel like a champion of business. But defining a great USP is anything but easy. It’s pretty daunting when you think about it. I mean, you’ve likely spent years defining who you are as a brand. Countless hours, days, weeks or even months have gone into product development and optimization. Summarizing everything you’ve achieved and everything you stand for isn’t an easy task. To do it in a few short sentences can seem like the impossible. But it’s also completely necessary. Without a creative, informative USP, your brand will become lost in a sea of homogenous competitors. You’ll be unable to properly target your sales efforts leading to a dismal, unprofitable life of mediocrity. USPs are the starting point for ongoing brand loyalty and advocacy. Overlook this crucial step and you’ll be struggling against a slew of better prepared competitors. Why You Need a USP? I don’t care whether you sell information products on entrepreneurship, run a CRO agency or sell hair clips at your local market. Whatever your business, you’re not the only one doing it. There’s a ton of other people out there in your niche who are just as ambitious, just as smart and just as focused on stealing your customers from you as you are theirs from them. Your USP is the first step in differentiating yourself from all those competitors who offer a similar (or identical) service. It tells your prospects why they should choose you over your competition. It’s the first step in persuasion, the one that hooks attention and get’s prospects to say, ‘hey, this business seems pretty cool’, instead of, ‘oh, another email service provider’. 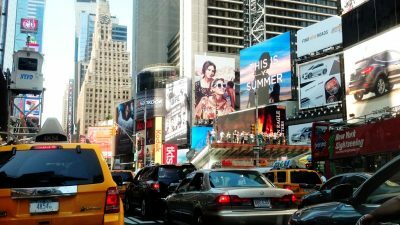 Contrary to popular belief a USP is not just about finding something that’s unique about your brand. I’m a British copywriter who only wears sport socks. That’s probably a unique trait, but it won’t land me more clients. A good USP is unique, but it also applies to your target market. 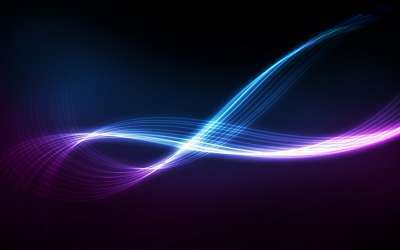 It identifies a unique quality in the area where supply and demand overlap. It explains that quality to your prospects in such a manner that makes them want to learn more. So yes, it is about being unique. But it’s also about finding the need in the market, the unique quality that your prospects are crying out for. Here are a few examples from competing airlines. Generally speaking they offer the same service. They fly you from point A to point B, and more often than not there’s very little difference in that core service. So how do they differentiate themselves? First up, Virgin Atlantic. Instead of focusing on price, Virgin has instead decided to focus on the entertainment aspect. According to Richard Branson, Virgin’s USP wanted differentiate themselves by focusing on service. He says, “Virgin focused on what we knew best—entertainment. We positioned Virgin Atlantic as a well-priced product that would make flying fun again via perks like onboard bars, massages, power plugs at every seat”. Head to their website and their focus on entertainment and making flying fun is pretty obvious at every stage of their marketing. Now let’s take a look at one of their primary competitors, Emirates. Emirates still focuses on the experience of flying, however, they focus on the provision of a luxury service. It’s an airline for the elite, or so they’d have you believe. If you read through the two screen caps the different is quite apparent. 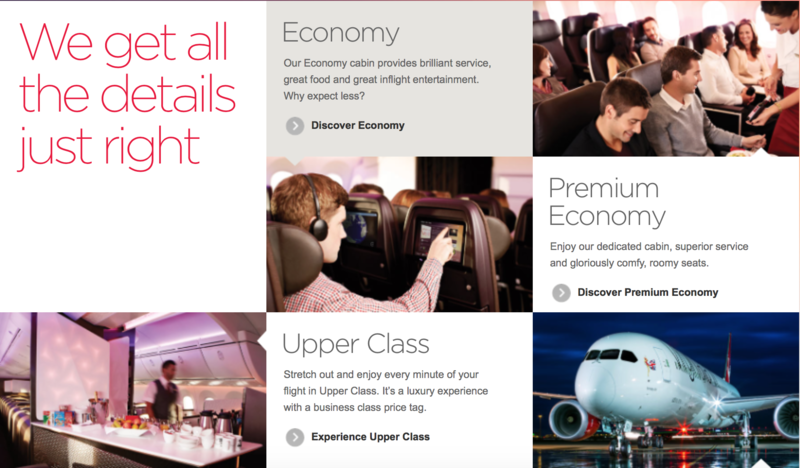 Virgin focuses on ‘enjoying your flight’ using features including entertainment and images of on flight bars. 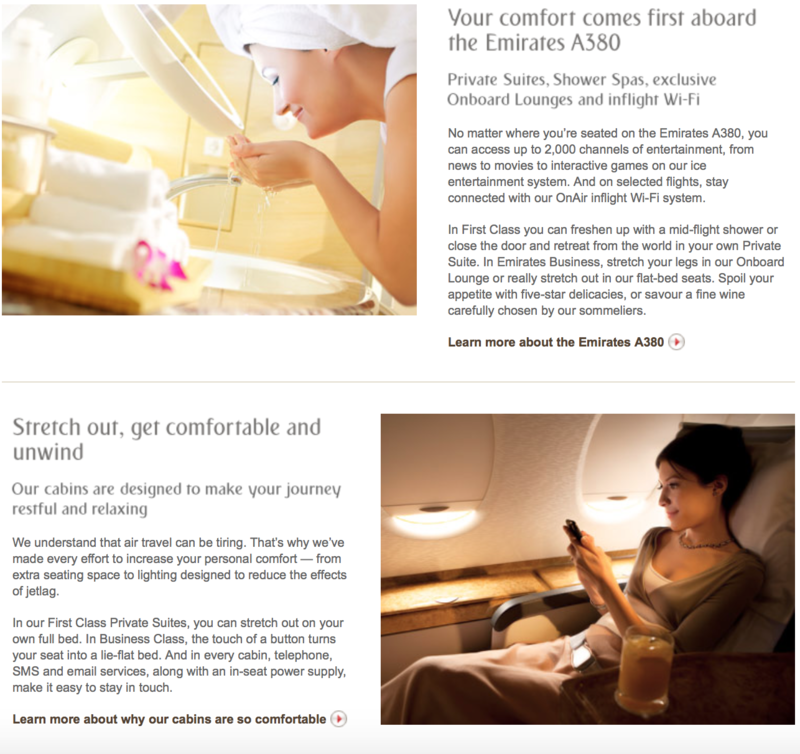 Emirates on the other hand mentions onboard showers, five star chefs and carefully selected wine selections. These two services are, at their core, very similar both providing long haul international flights. However, the USPs they’ve developed have defined their marketing so they’re able to stand apart from one another and attract their own crowd of loyal followers. So yes, USPs are an absolute must. Let’s take a look at how you can create a killer USP that helps define your brand, focus your marketing and attract a loyal crowd of fans. There’s plenty of advice out there on USPs, most of it you’ve likely read before. Whilst I don’t want to once again travel a well-trodden path, it is some good advice and bears mentioning again. So, let’s get the basics we all know and love out of the way right now with this handy little infographic. As mentioned, nothing new, but worth another mention. These are the basic steps to creating a good USP. But it doesn’t stop there. Let’s move on to some more advanced tactics to analyze and optimize your USP for maximum effect. Trying to sum up the primary benefit of your business in a handful of sentences is a tall order. Chances are you offer more than one service. Even if you’ve narrowed your focus down to one particular feature, there’s going to be numerous benefits for your prospects. What you’ve got to avoid is trying to encompass everything you offer in your USP. To adapt an Abraham Lincoln quote, you can’t please all of the people all of the time. Drill down to a single, specific and unique benefit of your business or service. Few brands are known for doing a bunch of things well, they’re known for doing one thing exceptionally . Take Starbucks for example. People don’t think of Starbucks when they want a sandwich or croissant. Sure they’re included in their product lines, but the product they’re known for and have built an empire upon is coffee. Have a look at any Starbucks advertisement. They may make mention of other products, but their coffee is always the primary focus. Here’s a great example of one of their marketing campaigns which focuses solely on coffee and the service you can expect. That’s the sort of specificity you need with your USP. Find the one thing you do well that your competitors don’t and focus intently on it. It’ll help define your future marketing and establishing a reputation as the best provider of that benefit. The proof is in the pudding with USPs. If you make a promise, you better able to deliver on it. Anything else is worthless hype which is only going to hurt your brand. Modern consumers aren’t dumb. They can smell a BS promise at a hundred paces and will avoid it like the plague. Let’s look back at the Starbucks ad for a second. They could have taken the hyperbolic approach and said, ‘hey, we’ve got the best coffee in the world’. But would you believe them? I wouldn’t. First, that’s completely subjective. I may agree, you may disagree. Unless they have an award for the best coffee in the world it’s stupid to claim they do. However, they can prove their baristas ‘care’, at least to the extent that they’ll continue to remake you coffees until you’re happy. A USP isn’t a vague claim to greatness. You need to be able to stand by your USP and prove that you actually can deliver everything you promise. Your USP should focus on a benefit. You need to ask yourself if your customers will be able to actively measure that benefit? Prospect’s need to know that they’re going to get some sort of measurable result from you. That could be something like saving time, making more money or even something as simple as being able to request your coffee being remade until you’re satisfied. Let’s take a look at the Crazy Egg USP. Well, would a prospect, after one month of usage, know where users are clicking through their site? Yes. Will this help them make their site better? Yes. So yes. It is measurable. 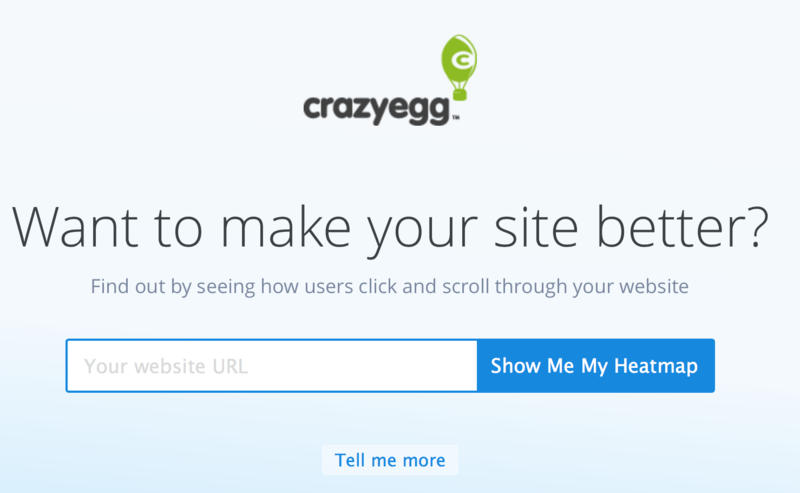 Users are getting an actionable report they wouldn’t otherwise have access to. People like tangible results, especially when they’re spending money. Outlining the actual results your prospects will receive is a sure fire way to increase the effectiveness of your USP. Sometimes a compelling USP will do all it can to hide from you. 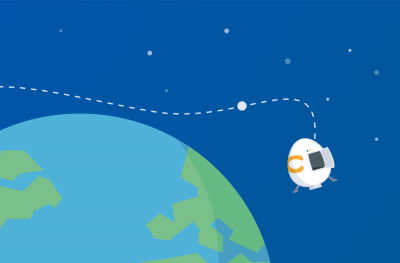 A/B tests are a good method for finding the messages that best resonate with your audience. However, before you get to that stage you should be asking yourself the below two questions to narrow the selection down to your best options. As I’ve already said people will rally around a cause they think worthwhile. Find a cause your target market believe in and make it apparent that you stand for and support it. 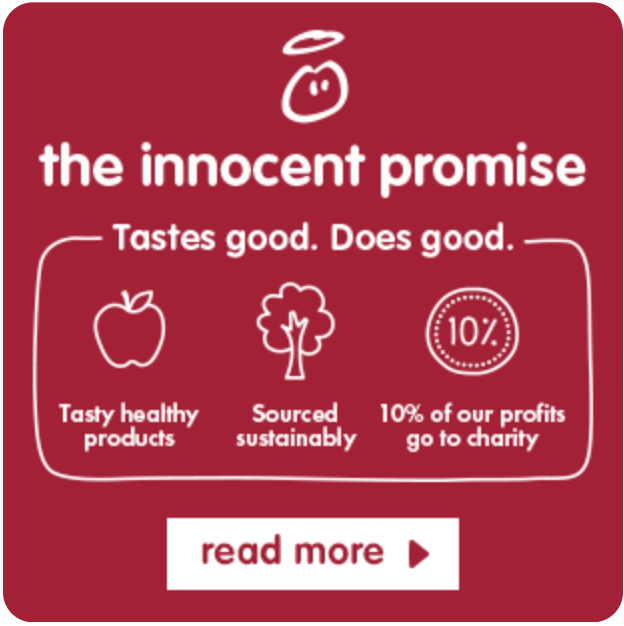 Customer’s rallied around Innocent Smoothies and their promise of producing tasty smoothies which are ethically sourced and have no additives. Discover the passions of your primary market and align your USP with it. Joanna Wiebe of Copyhackers has created what is probably the best question for helping devise a succinct USP that outlines your primary benefit. All you need to do is ask yourself who you are. When describing your brand simply add the words “the one that” (simplify to that if you want) to the end of your brand description before completing the sentence. USPs aren’t just about hooking attention and converting fleeting visitors to fervent fans. A good USP helps you stand apart from the crowd. It defines your future marketing and, to a certain extent, defines who you are as a brand. It takes a little more than just digging into your audience research to come up with a compelling USP however, the steps outlined in this article should help you squeeze that little bit of extra juice from your potentials. If you’ve got any other tips on creating a killer USP or perhaps have found the single best step for standing out from the crowd, drop a comment below and let us know.